Scroll Down to Order Matzah! Order handmade Shmurah Matzah, baked the same way our ancestors have done for generations! 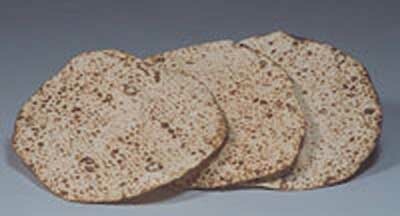 Click here to read more about Shmurah Matzah. What is the Difference Between Shmurah Matzah and Regular Matzah? Hand Baked Shmurah Matzah Includes approximately 7-8 Matzot per lb. You can call our office at 905-493-9007 or email for pickup arrangements.